After a half-century hiatus, Mary Poppins has returned to cinema screens for a supercalifragilisticexpialidocious sequel and to once again spread magic and joy wherever she touches down. Taking place twenty years after the original story and starring Emily Blunt in the titular role, Poppins’ mysterious arrival coincides with a moment of great personal loss. The story takes us back to Cherry Tree Lane to once again visit Michael (Ben Whishaw) and Jane Banks (Emily Mortimer). The pair are now all grown up and Michael has three children of his own, but after a personal tragedy, they face the threat of losing their home. Poppins’ surprise entrance sparks an unmissable adventure that traverses the most wondrous of worlds to help the Banks family overcome the trials and tribulations of reality. Rob Marshall, recognised for helming 2002’s Academy Award-winning Chicago, is renowned for crafting captivating choreography – a factor that will undoubtedly come into play in this contemporary take on the classic character. Disney’s Mary Poppins Returns promises to be a moving tale filled with charming characters and a deeply immersive onscreen experience that breathes magical life into Depression-era London. Everything is possible, even the impossible. Back in 1964, Julie Andrews earned widespread critical acclaim for her unforgettable portrayal of the magic nanny. Amongst several other accomplishments, Andrews won an Academy Award for Best Actress. 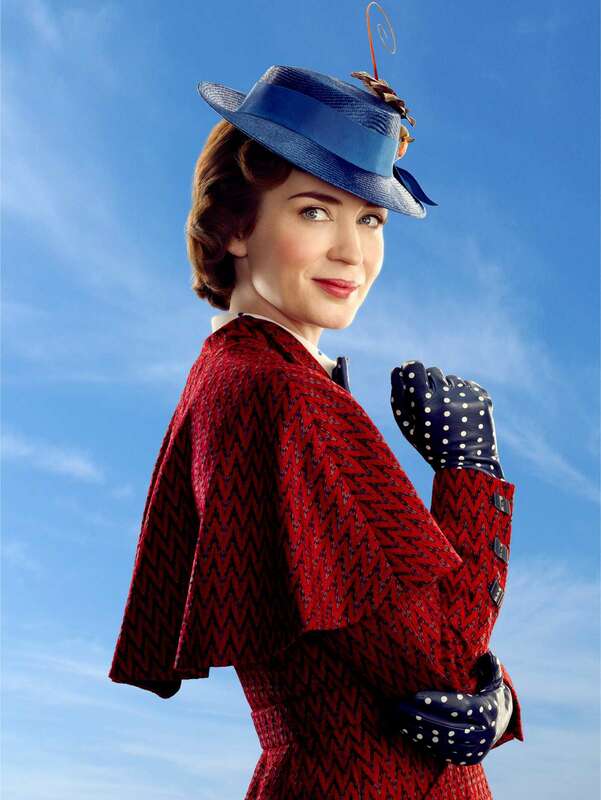 Despite the passage of time appearing to have no impact upon Poppins, Emily Blunt’s contemporary portrayal of the character is one which promises to bring a unique twist to the character. Drawing heavily from the books of P.L. Travers, Blunt’s Poppins is perhaps a more faithful representation of the character, yet one that will still pay homage to Andrews’ classic turn. Not only will Poppins have a new look, but the film promises a brand-new line-up of musical numbers to sing along to.